Posted on June 29, 2018 . by Patrick Johnstone. Leave a comment. The June 25th Council meeting was the Reports and Awards edition! We had a presentation of the City’s Annual Report (which you can read here), and had presentations to our staff for a recent raft of planning and economic development awards won by the City. We also had a chance to thank recently-retired Director of Planning Bev Grieve for the work she did – and her instrumental role in making New Westminster a regional leader on innovative affordable housing policy. Our community owes a serious debt to Bev, and I hope she enjoys a lengthy and enjoyable retirement, content in the knowledge that her career made a meaningful difference in the lives of so many residents. The City’s “budget” exists in the form of a 5-year financial plan, as required by Provincial Regulation. It is completely updated once a year, and we occasionally do interim updates to keep it compliant and assist with continuous financial planning and transparency. These amendments all fall under the category of “things our finance staff do their best to accurately estimate ahead of time, but are hard to predict”, such as how much DCC revenue we will receive and how much cost recovery we can achieve on disposal of capital assets. The regulations say we need to give the public an opportunity to comment on changes to the Financial Plan before we adopt the Bylaw. We received no correspondence, and no-one came to comment during the Opportunity. Council moved to refer the Bylaw for Adoption. We had a framework for a new Arts Strategy come to Council back in May, and it received a slightly frosty reception, at least in part because of a similarly-frosty reception it received from the Arts Community during the last round of public consultation. This is a quick update on the roadmap moving forward that was developed by our Arts Strategy Task Force and our Arts Commission. This is a positive step forward, and we have a clear path towards a more community-focused Arts Strategy that should come back to Council before the end of 2018. The City is investing in the Arts like never before. From the building and running of the Anvil Centre, the expansion of arts programming, the Public Art strategy and amenity fund, and our commitment to invest in renewal of the Massey Theatre, it is clear this Council wants to support the Arts, so it is really important that we get the strategy right. As reported last week, we are working through the municipal response to cannabis regulations. One aspect with high potential impact on local governments is the regulation of public consumption and integration with existing smoking bylaws. Part of the problem is that smoking regulations in BC are a mish-mash or overlapping jurisdictions. The many players who have some responsibility for enforcing smoking restrictions include private property owners (through WorkSafe), the Ministry of Health (and Fraser Health), TransLink (for Transit property), the Province and Local Governments, both through Police and Bylaw Enforcement. At least in the last case, every local government has taken their own approach, resulting in more confusion amongst all of the agencies about what just what the rules are where. 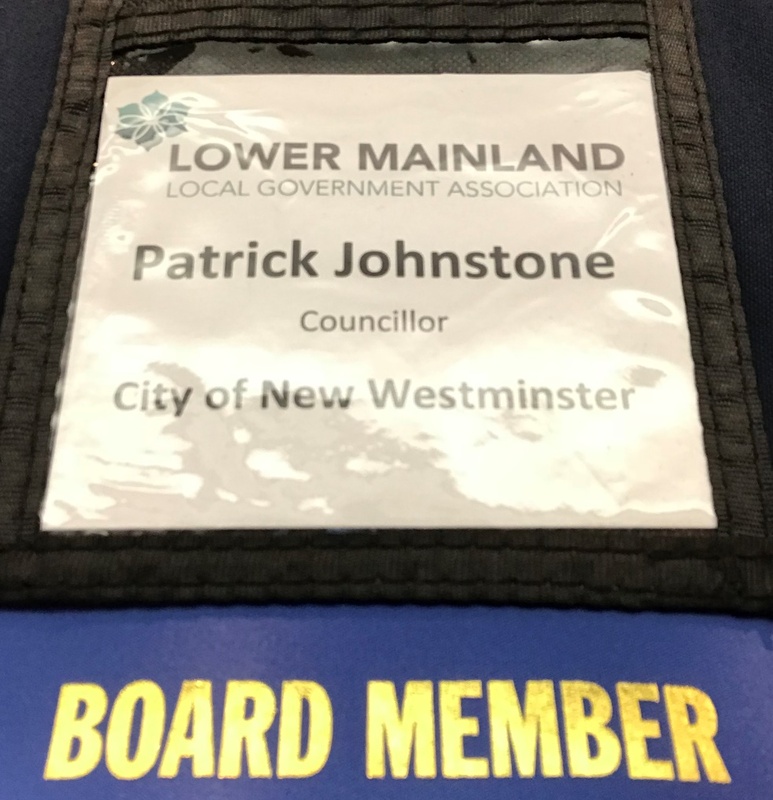 We are taking a resolution to UBCM requesting that the Province use the introduction of recreational cannabis and their authority to prescribe public smoking restrictions, so that the patchwork between local governments can be made consistent. An Uptown commercial property wants to update its signage in a way that does not strictly comply with the Sign Bylaw, which requires a Sign Bylaw Variance, which requires an Opportunity to be Heard so people can tell us if they like or hate this idea. That Opportunity will be on August 27, 2018. C’mon out and tell us what you think. Our drinking water is supplied by Metro Vancouver, but the local delivery system (pipes and valves and such) are operated by the city, so we have a joint responsibility to assure that Provincial Regulations regarding water quality testing are met. This is our annual report. We collected just under 1,000 samples in 2017, with no significant concerns. The 5-year term for the Uptown BIA is expired, (Has it been 5 years already!?) and it is time to re-up. As a reminder, a BIA is a business-community-led initiative permitted under the Community Charter, which allows a local government to collect a parcel or frontage tax from all commercial property owners within a geographic area and turn that tax over to the BIA members with the commitment that it will be spent on improving the viability of the commercial district and businesses therein. After requesting that the City commit to another 5-year term, the participant businesses in the Uptown were surveyed. 6.1% of the businesses opposed participation, representing 1.15% of the commercial property in Uptown. So Council moved to approve the renewal of the BIA for Uptown. Rental vacancies in New West are below 1%. Rents are going up. Much of our more affordable rental stock is reaching the age where extensive renovations are required. These factors add up to a serious “renoviction” crisis. The City has been very effective at reducing the types of wide-scale demovictions other communities are suffering, but renovictions are a more difficult problem to address because of our limited powers under the Local Government Act. As a result, we have had renoviction of at least 215 rental units in the City in the last two years (to put that in perspective, there are about 15,000 rental households in the New West). In the last few years, New West has sought ways to do more than is strictly required by legislation to protect the vulnerable members of our community, and our staff have done many things to reduce renoviction, and assure people facing renoviction have access to as many resources as possible to assure their rights are protected. 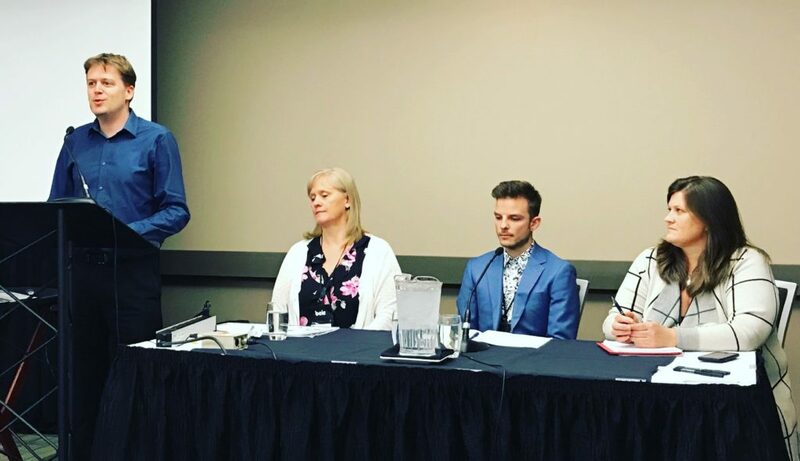 We have also advocated with the Provincial government to make changes to the Residential Tenancy Act that would provide the marginally housed more protection from renoviction (with some moderate success recently). This report provides a bit of a summary of what we have done, and an update on what we will be doing going forward, including taking part on the Provincial Rental housing taskforce work through 2018. A new Transportation Plan for Sapperton and Massey Victory Heights was needed. The last comprehensive review of the area was last century, and with the introduction of the Millennium Line, expansion of RCH, the Brewery District and (eventually) Sapperton Green, along with regional transportation pressures, it is time to review again how we will balance the need for people to move through the region and the need to protect the livability and safety of our residential neighbourhoods. There were some public workshops and a Community Working Group representing residents and businesses in the area. There was also extensive consultation with RCH. TransLink and other stakeholders. There was also a lot of data collection, research, and engineering planning work that went into this. As a result, the report has *a lot* of detail regarding traffic loads, future plans, and phases of implementation. Some parts are meant to be implemented in the short-term (mostly traffic calming improvements), some in the medium term (more complicated network improvements), and some more longer-term priorities are identified. Although the 320+ page report was more than I could dig deeply into before Monday’s meeting, my initial impressions are that the estimates for “Trip Reduction” (diversion to transit or active modes as opposed to single-occupant vehicles) seem very conservative, both locally and regionally. We currently have 16% of all trips generated in Sapperton as walking/cycling only, and the report estimates 20% for Sapperton Green – a pedestrian-oriented community on a SkyTrain station to be built out in the 2030s. Throughout the document, current mode shift is projected to the decades ahead, with little gain over current numbers. I recognize the need to be conservative when planning far in to the future, but if we do not achieve much greater mode shift to transit and active modes by 2040, then the regional plan and regional transportation plans will have completely failed. In this eventuality, the regional call to pave Sapperton down to accommodate through-drivers will be deafening. On a related topic, the data around traffic and parking related to an expanded RCH is concerning. Unless Fraser Health starts to recognize that dependence on single-occupant vehicles as the “default” transportation option is a public health concern and makes Transportation Demand Management a priority for its community, starting with its staff and patients, the impact on Sapperton threatens to offset the benefits of having this important community health amenity in our City. Another important aspect not discussed in the Plan (and I have been harping on about this for a while) is that East Columbia will never be a Great Street, and we will never achieve the goals we have for that commercial streetscape and pedestrian realm if it is the sole access for all traffic to RCH and the Brewery District. Those two uses are incompatible. There must be access to the expanded RCH via Brunette Avenue, and that means a fully signalized intersection at the foot of Keary, Allen, or Sherbrook. (I think Keary works best, as that is the direct access to the RCH underground and the later phases of the Brewery District underground – however a traffic barrier will be required between Brunette and East Columbia to prevent this becoming a major rat-running throughfare). Of course, installing a signalized intersection will impact through-travel “capacity” on Brunette, which is a truck route and on the Major Road Network, meaning the City cannot make these changes without buy-in from everyone one from TransLink to the trucking industry. However, as this plan talks about re-aligning the East Columbia & Brunette intersection to improve flow, and making Brunette four lanes between East Columbia and Spruce we need to assure these things are designed as a single package, or we will never receive this important amenity for our community. Anyhow, besides these point, which fall squarely in the “medium- and long-term” category, and as the plan is a living document, I do not want to delay the short-term traffic calming and livability improvements. Council endorsed the Traffic Plan with this in mind. We are updating some of the language in the Bylaw that regulates our Electrical Utility, mostly as a result of how we have really expanded the responsibility of the Utility as of late, to include power generation (Solar Garden and District Energy) and information networks (BridgeNet). We are really lucky in the City to have this resource that not only pays a dividend to taxpayers, but provides us an ability to take on new and exciting challenges. This recommendation from the Emergency Advisory Committee is to take a resolution to the UBCM meeting in the fall that the Provincial Government provide better access to real-time emergency alert system info to better plan our local emergency response in the case of a large, regional emergency event. Endorsed by Council. This is an interesting project. The owner of an exceptionally large residential lot in Queens Park wishes to relocate a couple of smaller heritage homes that may otherwise be demolished onto the back part of his property so they can be preserved and renovated. There are two challenges to this. When a house becomes available, it must be moved fairly quickly, usually because the current owner just wants the house out of the way so they can re-build, and moving it is only considered over demolition when it doesn’t delay the project. Of course, permitting the moving of a house onto a property from the City’s side is not a fast process, so the property owner here wants to get a sort of “pre-approval” for the land use. The best path is a Temporary Use Permit, with the idea that the full Zoning change would happen after the house is moved, in the event a house is moved. We received no correspondence on this item, and only the Proponent came to speak on the Temporary User Permit. Council moved to approve issuance of the permit. As mentioned above, this Bylaw that updates some of the language and mandate of the Electrical Utility was given three readings. As discussed last week, this Bylaw that renews the Uptown BIA agreement was adopted by Council. Adjust your buying habits appropriately. As discussed previously, this Bylaw that officially names a new street n Queensborough Roma Avenue was adopted by Council. This Bylaw that secures rental use for the residential portion of this development in Sapperton was Adopted by council. More Purpose Built Rental in New West! These Bylaw changes that remove charges for the licensing of therapy dogs in New Westminster was adopted by Council. Posted on June 21, 2018 . by Patrick Johnstone. Leave a comment. This is a follow-up to a workshop Council held on January 29, and you might want to go back to this report to get caught up on where we are and where we are going here. It really explains the areas that the City needs to deal with – that is issues that are not already regulated by the Feds or the Province, and those where we are able to augment senior government rules because of our land use and business license regulatory powers. After that January meeting, our staff did some work and some public consultation to develop a set of guidelines that they will draft into Bylaws. This workshop was meant to be a check-in with Council, and a conversation with the public, around that framework. This is an evolving file, and Bylaws are yet to be drawn (this was even discussed before yesterday’s Royal Assent of the Federal Cannabis Act, demonstrating how quickly things are changing), and some may require Public Hearings. Therefore, I am going to speak in generalities about what the major areas of municipal legislation are, what the proposed direction from staff is, and what my initial opinions are (recognizing any and all three of these could change before the October 17th date the Federal Law is meant to be enacted). As a City, we can regulate this, all the way from not allowing any retailing of cannabis in the City to having a complete free-for-all. The general direction would be to mimic how we deal with liquor retail: require a site-specific zoning. This gives Council a lot of discretion, in that the zoning would be based on a set of Guidelines, but Council could always be asked by a proponent to vary from those guidelines. At this point, staff have suggested limiting retial to commercially zoned areas (naturally), and to create limits on how close a store can be to a school or (potentially) to other areas like Parks and Daycares (100m). They also recommend having a prescribed distance between cannabis retailers (300m). I suspect the first provision is a bit of a holdover from prohibition, both in how we apply it to liquor outlets and to cannabis: I don’t think it is based on risk mitigation or actual danger to children, but to a somewhat puritan “keep the sin away from innocent eyes” holdover from the temperance movement. I recognize that a community concern exists, however, and don’t think a 100m buffer to schools will be onerous for the businesses. I’m not sure I can say the same about Parks, because 100m from Pier Park and Sapperton Park (for example) does impact commercial areas. I also have a concern that daycares are already scarce in our City, and are almost all in commercial areas, and as much as I don’t want their existence to unduly limit other retail business, I don’t want a new cannabis store to suddenly preclude the existence of new daycare centres if operators want to open them. I guess I don’t understand the risk we are hoping to avoid. As for the 300m proximity buffer between retailers, I also think that may be too large. I used the example of the Starbucks on Sixth Street and Columbia: if it decided to shift to a cannabis outlet, it’s 300m buffer would encompass about 90% of the downtown commercial property. Similarly for Uptown if an outlet was built at Sixth & 6th. I suspect we are trying to avoid creating a “Cannabis district” where every second store is a cannabis outlet, just as a basic land use principle, but there needs to be a bit of work here to make sure we are not being too limiting for new businesses that want to open up. The City can regulate things like operating hours, sign bylaws, and other details of how a retail business can operate in our community. The City is considering creating similar regulations (again) to liquor retail, but still have some work to do on signage and aesthetics. We don’t want businesses with blacked-out windows or bars in the windows, as that creates an uninviting street presence, but we want businesses to be secure. So there is some more work to do where, especially in consultation with potential operators. Similar to retail, the City can regulate the type of industrial business that operates in the City. The City is proposing that cannabis processing and packaging be limited to the M1 zone, which is the heavier industrial zone. This is mostly related to the increased anticipated security these facilities will require under federal law, and that level of security not being appropriate for our M2 zones (which are commonly more light industrial-with-a-store-front). There will also be strict waste management and air quality protection measures required by senior government regulation, which makes M1 work better. This is where I suspect the most public concern with legalization of cannabis is going to appear: the simple nuisance of second-hand smoke. Public attitudes about public smoking have shifted significantly in the last decade, and the simple approach offered by the province (public use is legal wherever smoking is legal) may prove challenging. Although I suspect the actual use of cannabis will not increase significantly after October 17, the public exposure to its use (along with confirmation bias by its opponents) will lead to a lot of complaints. The city will be updating our smoking bylaws to include vapor and cannabis smoke, and will continue to limit smoking with 7.5m of a doorway and in Parks. However, banning use in the way we do alcohol (i.e. no public spaces) is challenging, as we will not have “pubs” where people can go, and landlords and strata councils will have the legal authority to prohibit smoking in people’s homes, making it very difficult for some people to find a place to use what is a legal product. One of the delegates at our meeting pointed out the structural unfairness of limiting public consumption for those who may not be able to smoke at home. Of all the regulations, this is the one that is going to be hardest to make people happy, because it runs up against a conflict between people’s individual rights. With the federal government specifically *not* legalizing edibles and tinctures at this time, smoking and vaping will be the primary delivery method. So we are going to have some learning to do as a society. The Federal regulations say you can grow a limited number of plants at home for personal use, and the province further restricts that the plants can’t be “visible” from public spaces, and that landlords and stratas are legally able to restrict growing of cannabis in multi-family units. As a City, we are not contemplating adding to these restrictions. You have until June 24 to take part in the City’s on-line survey about these regulations if you have strong feelings. Otherwise, we will see some draft Bylaws at the end of the summer, and expect that we will be able to make them into law here in New West ahead of the October 17 federal legalization, and before the October 20, 2017 Municipal election! Posted on June 13, 2018 . by Patrick Johnstone. Leave a comment. After all of that excitement, it was back to work on Monday at New West Council. We opened the meeting with presentations of plaques for the newest Registered Heritage Buildings in the community. This was followed by a couple of presentations that were emotionally charged. It is Salmonbellies Day on June 17th, but the usual celebration was subdued in light of the recent loss of a treasured member of the SalmonBellies community. This was followed by acknowledgement of World Refugee Day on June 20th, which we marked with a harrowing presentation by a New Westminster resident who is himself a recent refugee from Syria, which put many of our issues in New Westminster into a stark perspective. This report is a summary of work done to evaluate a site on Fenton Street in Queensborough for Temporary Modular Housing (“TMH”). This is a follow up report on last meeting, as we had many delegates speaking to the 838 Ewen Avenue TMH proposal, and some suggested the Fenton Street site as a better alternative for TMH in Queensborough. We asked staff to provide more details to the evaluation that was done of Fenton, and to revisit some of the assumptions that went into it being not selected to make sure we haven’t missed something important. The short version here is that the Fenton Street site is indeed a viable location for modular housing, but there are some significant challenges for the site that impact the timing, cost, and project risk. The site would require pre-load and other ground stabilization works, and would need significant on-site and off-site landscaping and other works. In comparison to the Ewen Avenue site, the access to services is not as good, and making the site more accessible for pedestrians will come at an extra cost. Nearby transit service is less convenient and less frequent, and shopping is twice as far away. In summary, the Fenton Street site works better for a more permanent affordable housing project so the timing and costs to make it work can be absorbed into a longer project timeframe, but it is not a viable location for the current Rapid Response TMH program being led by the Provincial Government. This is our official release of financial information for the year. Most of the spreadsheet stuff shouldn’t be a surprise to anyone who has watched our budgeting process. This report also includes how much you paid me and my Council colleagues for our work ($45,646 for me, plus $5,539 in expenses, mostly for the conferences I attended, which is why I report out on them here), a list of all of the companies we paid more than $25,000 for goods and services, and a list of the wages paid to all of our employees who earned more than $75,000, as required by law. No doubt, the regional media will report out on peoples wages, without much effort to putting those wages into context of what those people would be paid in the private sector for similar responsibilities and skills, instead framing those wages as opulent. Alas. We have an empty seat on the Arts Commission, and this person is willing to fill it, and she is a consummate volunteer in the City, whom I thank for her service. As reported earlier, the name Roma Avenue will be sued for a new street in Queensborough. This is the official Bylaw that makes that happen. The actual installation of the road sign will come after the road is built and put into service. Hopefully it is good timing to coincide with a grape-stomp. The project planned for an empty lot on East Columbia will include Purpose Built Rental, and in order for the City to secure that rental, we need a covenant and a Legal Agreement. This agreement needs to be supported by a Bylaw. This is that Bylaw. The City has a Tenant Relocation Policy to do what we can to make sure that people are not displaced from their housing unnecessarily, and to assure that when evictions are legal and required for significant renovation of a building, the residents have as much support as possible in this impossibly tight rental market. The provincial government recently updated the Residential Tenancy Act to give renters more protection from demovictions, such that their “fair notice” minimum is now longer than the one in the City’s policy, so we are adjusting our policy to match. This is a constantly evolving file, and more work is being done by local governments and province, this is a quick shift of our local policy to keep up, but not the end of story! This is a proposal to create a small public green space improvement in the Brow of the Hill, a neighbourhood notably lacking in public green space. Up to now, our Parklet Program has been oriented to improving the streetscape in our retail areas, where this one is adjacent to a church in a relatively high-density neighbourhood. This creates some opportunities, but also a different potential set of conflicts. Like other Parklets, this is meant to be temporary, but any opportunity we have to reduce the amount of paved space dedicated to cars and re-purpose that space into something greener that all people can use is a positive. The tragic incident at Fernie last year, where three refrigeration workers were killed by an ammonia leak at their skating rink, has cause all municipalities in BC to review their safety practices around ice plants, working with WorkSafe and the Technical Safety Board, There were some changes done at both of our arenas, mostly around how TSBC have changed the application of “risk assessment” measures. The changes come with a small operational cost increase (more frequent testing, increased staffing levels to oversee ammonia plant operations) which are consistent with changes being made at most ice arenas in the province. Short version is that were up to snuff when it comes to safe operation of our ice plants, and with emergency procedures, with a some increase in operational costs. This is the notice that an Opportunity to be Heard will happen on July 9 for a Temporary Use Permit for a residential recovery program directed at younger women recovering from addictions. It is best practice that I recuse myself from this discussion as the application is only a few doors down from my house. Electric vehicles are coming, and they are coming on fast. The largest disruption caused by them will be the change in how people “fuel” their vehicles. Gas stations are going to go away, and distributed charging systems will replace them. We are not, however, building that distributed charging infrastructure fast enough. This policy would help push the City that direction, requiring that new buildings with off-street parking spots are built to have the background infrastructure (conduit, wiring, and adequate electrical capacity) to support installing charging stations. The cost of making this a requirement in new builds is relatively small, well under $1000 (compared to the $40,000+ cost per stall of providing underground parking). Other cities (Vancouver and Richmond) have already made this move, and many others across the region are about where we are in in putting their policy together. As *most* EV charging will happen at home, if an adequate charging system exists there, there is less demand for making these stations mandatory in commercial buildings. The standard practice regionally is to require 10% of off-street commercial parking be ready for an EV charger. Staff are planning to report back to us with a fully-cooked framework for how to manage the commercial sector. The City is waiving Dog Permit fees for Therapy dogs, and updating some language in the Animal Control Bylaw without any major policy changes. The replacement of the Arenex has been a difficult process. We were initially optimistic that a replacement structure could be quickly acquired that would provide greater space, and along with the Canada Games Pool replacement project, we would finally have a home for the gymnastics and trampoline programs that didn’t quite fit in the Arenex as it was. Regrettably, best laid plans ran into some procurement issues, as the tight construction market and relatively high project risk related to the geotechnical conditions resulted in no adequate responses to the Request for Proposals. In the public procurement process local governments are required to use, that often means back to the drawing board. With some revision of scope, and more work done on the soils conditions at the old Queens Park reservoir site (where the old tennis courts and soil storage area are), we are now in a position to re-start procurement. Honestly, it is a bit of a disappointment that it took this long to get this far, but we have reviewed the process to date and there was every reason to suspect the first procurement should have worked. It may have been our rush to get a replacement facility done as quickly as possible that (ironically) resulted in this delay. The good side is that this failure has led to the City to re-evaluate some of our project management practices, and bring in some new resources. We have an aggressive capital program, with the Library, the Animal Care Facility, the CGP replacement, and more projects charging ahead, at the same time that some senior staff is retiring, so the learning from this will be valuable. However, in the end all we can do is apologize that this project ran into the challenges it did, and move ahead aggressively to get it done as soon as possible. Regular readers (Hi Mom!) will recall we are moving ahead with the Canada Games Pool replacement, and took a proposed “program” out for public comment back in late April. This report gave us a summary of the public engagement results. I have a lot to write about this, so will hold off for a second blog post, but the short version is that we have developed a pathway where we may be able to accommodate a higher-level competition pool while not taking away from the community focus of the new community centre. This Bylaw that makes the name of a new street in Queensborough “Roma Avenue” was given three readings. This Bylaw that secures the agreement that this new development in Sapperton will be a rental building was given three readings. The amendments to these three bylaws that will allow us to not charge license fees for therapy dogs and make other small changes in our Animal control Bylaw, were given three readings. As discussed last meeting, these updates to the 5-year Financial Plan were adopted by Council. It is now the law of the land. Automated Voting Machines Authorization Amendment Bylaw No. 7994, 2018 As discussed last meeting, this Bylaw that is required by Elections BC to use electronic ballot-counting devices in our civic election was adopted. 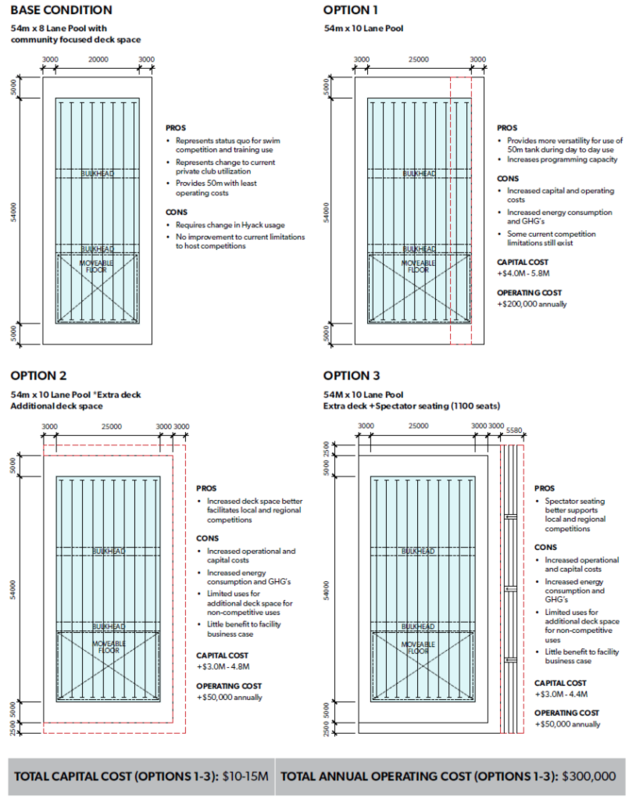 Also as discussed last meeting, this Bylaw that removes the need for a building permit for some types of backyard greenhouses larger than 100 square feet was adopted. May your tomatoes enjoy a warmer fall. 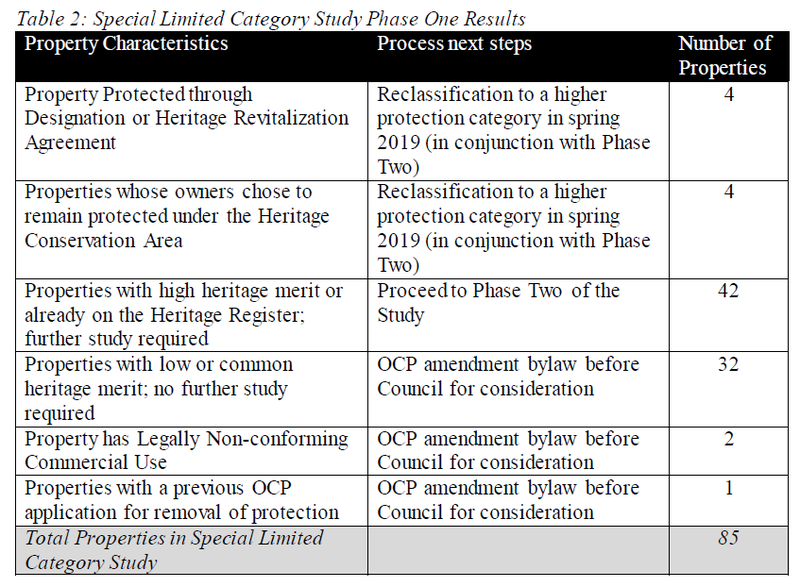 These Bylaws that secure permanent protection of a heritage home in the Brow of the Hill were adopted by Council. Posted on June 5, 2018 . by Patrick Johnstone. 2 Comments. As a follow-up to this post, here is the second half of the LMLGA Conference in May. This may not be as interesting for my regular readers (Hi Mom!) as me ranting about traffic, but I think it is important that I report out to the community what I learned during the conference, because the community paid for me to attend the conference. As I am on the LMLGA Board, the cost for one of my nights was covered by the LMLGA, but the City still paid my registration for the conference, and paid part of the travel cost (I car-pooled with other attendies). As I mentioned last post, a big part of the annual conference is the Resolutions session. 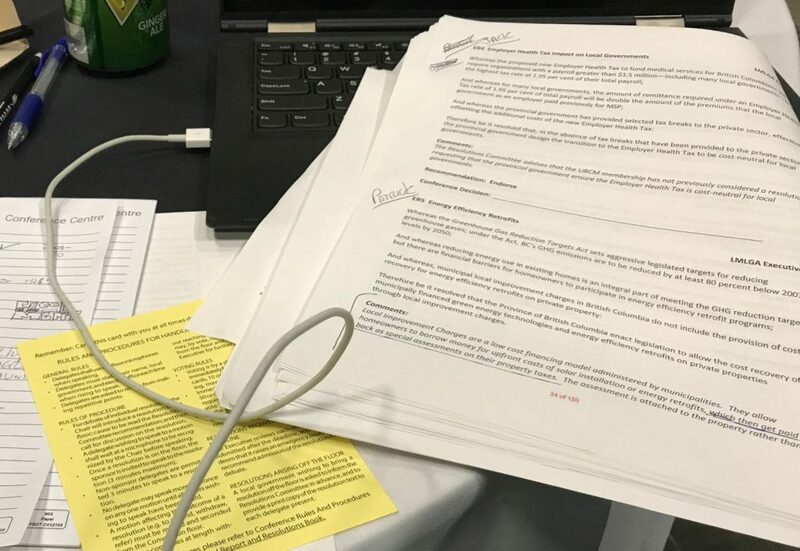 This is when the members of the LMLGA vote on resolutions to be forwarded to senior governments, asking them to change policy or prioritize spending to meet the needs of our communities. The 2018 session included more than 40 resolutions, with about half of them at least slightly debated. This was an unusual year in that three separate resolutions or proposed amendments were defeated in tie votes (which is pretty unique with ~100 voting members present). If you want to know the results of all of the votes, you can read them here. In brief, the two resolutions put forward by New Westminster were endorsed. The first was to ask the provincial government to prioritize the funding and support of the Community Health Centre model for providing general health care in communities across BC. The second was to ask the provincial government to update the BC Motor Vehicle Act by addressing the recommendations of the Road Safety Law Reform Group of BC to better protect vulnerable road users ( as I talked about in this report earlier in the year). Both were endorsed by the LMLGA Executive, and passed by the membership without debate. Day 2 Featured a session on Digital Connectivity that started with a presentation from a technology director at Amazon, talking about what they see as the future of retail. Depending on your outlook on the world (or possibly your age), he either described a stunning future where your computer will know exactly what hammer you need before you even go on line to shop for it, and one click later the hammer arrives at your door within two hours, or a stark dystopia where every decision you make is predetermined by algorithms and every human interaction or social aspect of purchasing goods is scrubbed away as “friction” that interferes with the efficiency of the market. So that was interesting. XKCD, as always, predicts the most logical end result. This was followed by another ying/yang tech discussion by Mayor Greg Moore, directed at the elected officials in the room. He talked about the positive opportunities that Social Media provides to engage with your electorate, both during campaigns and while you are in office. He then described, step by step, how a single person with a bone to pick, a couple of hours to kill, and $20 can use a social media platform like Facebook to create a powerfully disruptive disinformation campaign using the same tools, and make themselves look like a large crowd of people to amplify their voice. It was stunningly familiar, and a valuable lesson to all of us who seek to engage meaningfully in decision making. If you don’t know who you are talking to on-line, it is quite possible they do not actually exist. 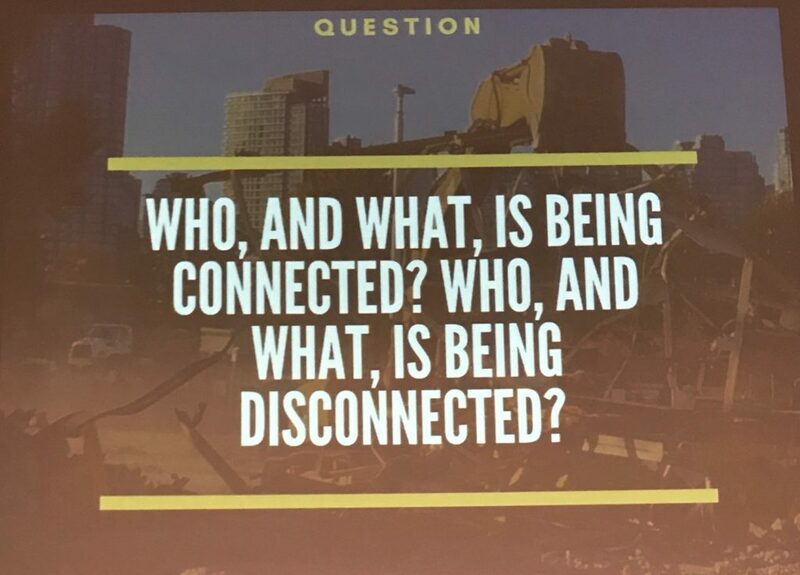 This led us into a closing plenary session on Human Connectivity, which brought together several aspects of making human connections in a time of digital disconnection. We had presentations about the power of volunteering, about working for sustainability within a community framework, and about thinking deeper about the everyday interactions we have, and what underlying the narratives we often miss may be telling us about ourselves and our community. It was inspirational, but also challenging – we are so busy “doing” or “planning”, that we are sometimes forgetting to take the time to listen, look, and understand the interactions in front of us. I’ve given a bit of a summary of my learnings/rememberings from LMLGA, but there was more. 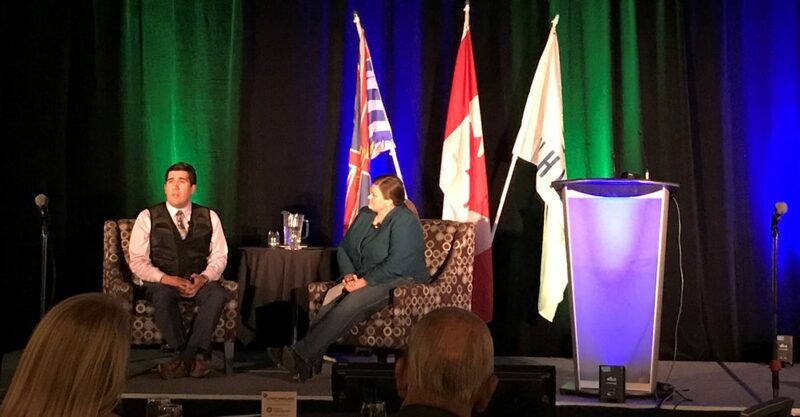 The Minister for Local Government and Housing gave us a great update on where housing policy is going in the province, the Leader of the Official Opposition told us all of the things that the current government has not accomplished in 9 months, seemingly forgetting his government had 16 years to do the same things. Of course the networking, both formal and informal, with local government leaders across the region are valuable, and the LMLGA executive met to discuss next steps, including developing a better plan to present the resolutions to government members in Victoria. Altogether an informative, inspiring, and crazy busy 2-1/2 days.